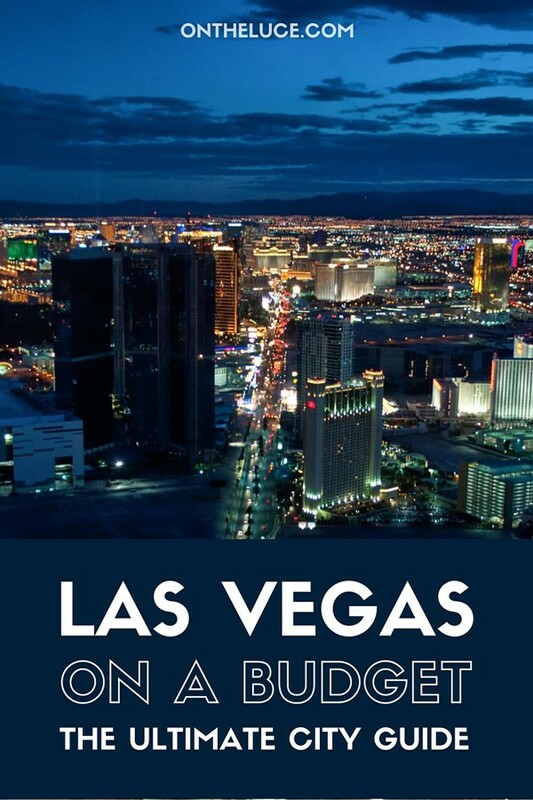 Las Vegas probably isn’t most people’s idea of a budget destination. Even if you’re not blowing your cash gambling on the casino floor, you could easily spend up a fortune in the city’s five-star hotels, A-list nightclubs, Michelin-starred restaurants and designer boutiques. 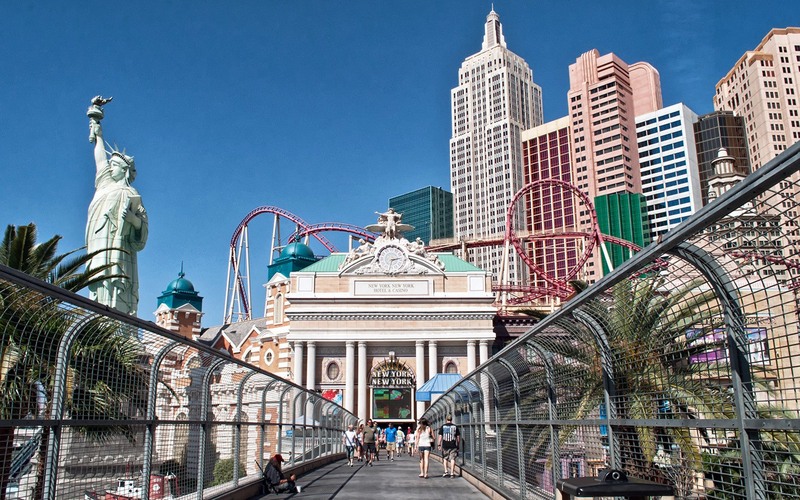 But you don’t need to rob a casino – Ocean’s Eleven style – to enjoy a trip to Las Vegas. Sin City is still doable if you’re watching the budget. So here are my top tips for making the most of Las Vegas on a budget by saving money on entertainment, transport, food, nightlife and more. There are also free attractions inside the casinos. The Flamingo has a Wildlife Habitat, which is home to flamingos and other exotic birds, fish and turtles in 15 acres of gardens. The Silverton Casino has a huge tropical aquarium, complete with tropical fish and swimming mermaids. And the Cosmopolitan has its own modern art collection. Away from the casinos, the Las Vegas Pinball Hall of Fame is free to enter and you just pay 25–50¢ per game. If you’re in the city on the first Friday of the month, Downtown Las Vegas’ art district hosts a First Friday event. Over 100 local artists display and sell their work on the streets and there’s also live music, street performers, food carts and art lessons for kids. The event runs from 6pm–11pm and there’s parking nearby plus a shuttle bus service connecting it to Fremont Street. If you plan to do a lot of paid attractions, it might be worth investing in a city pass. 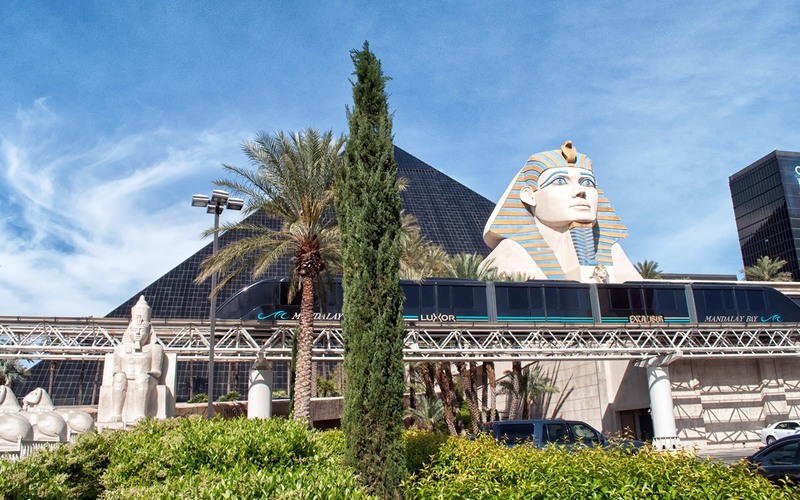 The Las Vegas Pass costs $89 for one day up to $270 for five days and covers over 50 attractions, including Siegfried & Roy’s Secret Garden, the Mob Museum, Stratosphere observation deck, Voodoo zip line, High Roller wheel and Madame Tussauds. It also includes trips out of Vegas to the Hoover Dam, Grand Canyon West and a cruise on Lake Mead. Las Vegas is famous for its shows, whether that’s Cirque du Soleil or big-name music performers like Britney Spears. Advance tickets can set you back hundreds of dollars, but you can pick up discounted tickets from one of the nine Tix4Tonight outlets which are spread along the Strip and through downtown. They only sell tickets for performances which are happening that day, so you don’t know what will be available, but you can save up to half price on the face value. Get in there when they open at 10am for the biggest selection of tickets. Or check out some of the free shows at the casinos. The most famous is the Bellagio Fountains with over a thousand fountains choreographed to music. The show takes place every 15 mins from 8pm–midnight (7pm–midnight) on Sundays and every 30 mins during the afternoons. There’s also the volcano outside the Mirage which erupts every night at 8pm, 9pm and 10pm. And there’s a free circus show with acrobats and clowns every hour from 11.30am–11.15pm (and sometimes later at weekends) at Circus Circus. Downtown at the Fremont Street Experience you can watch the free Viva Vision light and music show every hour on the hour from 6pm–8pm (depending on season) until midnight and there are often live bands playing. There are also live dueling piano shows every night in bars at Harrah’s, Paris and New York New York. When it comes to saving money on club entry, it’s much easier if you’re a woman. You’ll often be handed out discount flyers on the street or approached by club promoters who can get your name on the guest list. You usually need to get there by 9pm though, but can often get your hand stamped so you can go out and come back in later. Otherwise you can skip the queue and sometimes get a discount if you’re staying at the casino the club is in. Or you can get free entry when you eat at an attached restaurant, like Tao at the Venetian. The city’s tallest point is the Stratosphere tower’s observation deck. Entry costs $25 per person – or half price if you’re staying at the Stratosphere – with discount packages if you want to do any of the crazy rides at the top while you’re up there. For a more central viewpoint head to the top of Paris Las Vegas’ half-sized replica Eiffel Tower. It costs $18 during the daytime (from 10am t0 7pm) or $25 at night (7pm–1am), with free admission on your birthday (bring photo ID). The city’s newest viewpoint is the High Roller ferris wheel at the LINQ shopping and entertainment district. At 550 feet tall it’s the world’s tallest ferris wheel, taking 30 minutes to do a full rotation. You can save by buying online in advance, with tickets costing $22 in the daytime or $32 at night, or you can do a ‘Happy Half Hour’ with an open bar for $35 before 7pm. There are also great views for the price of a drink at Las Vegas’ high-rise bars. 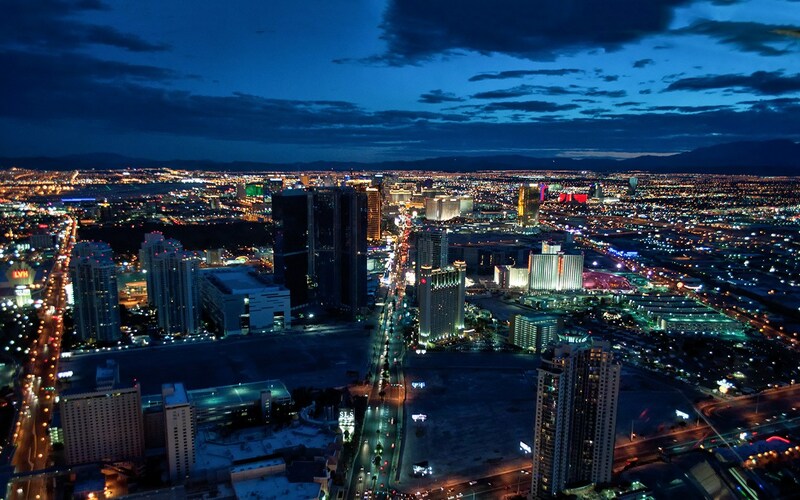 There are bars at the top of the Stratosphere and Paris’ Eiffel Tower, or try the Skyfall Lounge at the Delano Mandalay Bay (open 5pm–12am or 1am on weekends), the Apex Social Club at the Palms (open 8pm–4am from Thursdays to Sundays) and the VooDoo rooftop nightclub at the Rio (open 8pm–2am or 3am on weekends, no cover charge before 10pm, after which it costs $10 women/$20 men or $20 women/$30 men on Fridays and Saturdays). 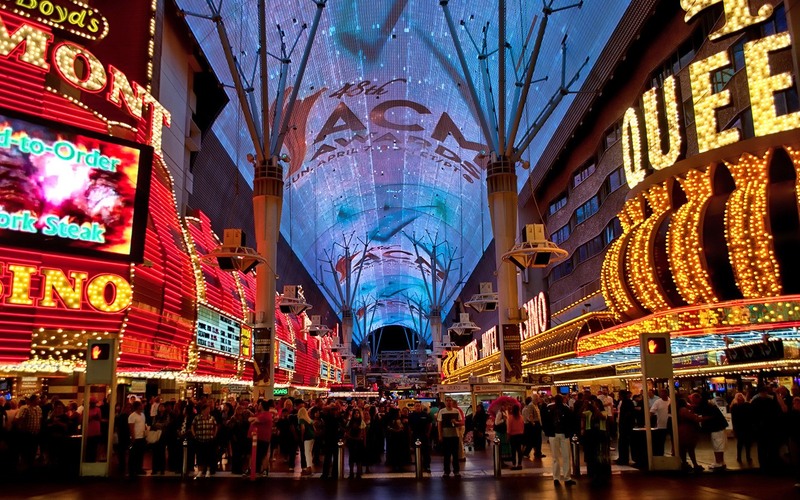 For cheaper dining, head to restaurants which are off the Strip or downtown. You can also find good-value pre-theatre menus if you’re happy to eat early in the evening. There are often restaurant discount coupons in the booklets you can pick up in hotel rooms or cabs, or you can buy budget meal deals from places like Tix4Tonight (see above) or Groupon. If you’re hungry, a casino buffet is good value. They’re usually cheaper for brunch or lunch rather than dinner and you can often upgrade to unlimited drinks. Or if you’re really hungry try the Buffet of Buffets, a $59.99 pass ($74.99 on Fridays and Saturdays) with 24 hours unlimited access to the buffets at five casinos (Paris, Caesars Palace, the Flamingo, Harrah’s and the Rio). Bottled water and snacks are expensive at casino shops, so head to a supermarket to stock up – there’s a Walgreens near Planet Hollywood and a CVS near Monte Carlo. They also sell alcohol so you can have a few drinks before going out (or on the street thanks to Vegas’ liberal liquor laws). You can get free drinks on the casino floor if you’re gambling – though stick to low-value games if you want to actually save money doing this and make sure to tip your waitress well to keep the free drinks coming. Also check out this site for details of the happy hours across town where you can get discounted food and drinks. The Strip is surprisingly close to Las Vegas’ McCarran International Airport, but the heavy traffic means that taxis can be expensive. The cheaper option is to take an airport shuttle minibus which will drop you off at your hotel. There are several different companies but they all leave from just outside the airport’s baggage reclaim and charge around $10 each way. It’s easy to get around the Strip on foot, but distances are bigger than they look. If you need a rest, hop on the Deuce. These double-decker buses run up the Strip to Fremont Street 24 hours a day, up to every 15 minutes. They cost $6 for 2 hours, $8 for 24 hours or $20 for three days. There’s also the Las Vegas Monorail which runs along a 3.9-mile route from the SLS station (near the Stratosphere) to the MGM Grand station. Tickets cost $5 per ride or better value is the 24-hour pass for $13. There are also three smaller free monorail trams which run from the Mirage to Treasure Island, Bellagio to Monte Carlo and Mandalay Bay to Excalibur. So those are my tips for seeing Las Vegas on a budget – do you know of any more Vegas bargains or have any money-saving tips? Looking for somewhere to stay in Las Vegas? Great advice! I’ll have to come back to this for my next trip 🙂 I loved Mix Lounge at THEhotel, the view was amazing! Thanks Katie, I do love a good rooftop bar! Great tips Lucy. I’m really looking forward to hopefully hitting up Vegas next year so these will all come in very handy. While doing some research on hotels in Vegas recently I came across some really good deals. The best i found was for the MIrage in May @ $59 per night mid week. I checked out all the big name hotels direct on their websites and while didn’t find anything else this cheap I did find that most of them offered reasonable prices. Hope the tips come in handy on your trip. I have a post coming up later this week with some accommodation recommendations too, with some good budget options. There are some great deals to be had! I usually stay at Planet Hollywood, which is generally pretty cheap! If I stay for longer than a couple days (I used to live in San Diego and it was a relatively short-ish drive there – which meant many weekends going to Vegas! ), I would stay at Harrah’s for a night or 2. It’s right in the middle of the strip and can be as low as $20/night for a 2 queen bed room! Thanks. I ended up staying in five different places while I was there so have some hotel suggestions coming up, but those are two more great ones to add! This is brilliant Lucy! It’s a couple of years off yet but I’m planning on taking Alex there as a surprise for his 30th birthday so I’ll be coming back then and making a proper note of all of this! Did you do the ride at the top of the Stratosphere? I think I would probably chicken out of that one it looks terrifying! Thanks, hope it comes in useful and you have a great trip, it’d be a fab place for a 30th! We stayed at the Stratosphere for a couple of nights so went up to watch people on the rides but no chance of getting me on there! We spent a short time in Las Vegas a couple of years ago and found plenty to amuse us by just wandering along the Strip and going into hotels, taking a cup of coffee for a rest and a sit in air-conditioning when we were tired. We stayed at the Mirage with a good deal found online but really noticed they want you to go on the floor and play. You don’t have to. The day we left I thought I ought not to leave without playing something so I put a quarter in a machine. I didn’t win. We had watched some of the high stake poker playing which was fascinating, though we weren’t allowed very close. I believe Las Vegas is despairing over people like us who just go for free entertainment, so grab the chances before they charge! We did pay for Cirque de Soleil which was stunning, but saw a free show by them in Montreal which was also superb. I was another annoying non-gambler too! But even without it there was more than enough to do and see to keep me occupied, and as you say watching the high stakes stuff is really interesting, there can be crazy amounts of money involved! It’s a crazy place! I know a lot of people don’t like it but if you embrace it for what it is – an unreal, fun town – then you can have a great time there. This is fab Lucy thank you!! 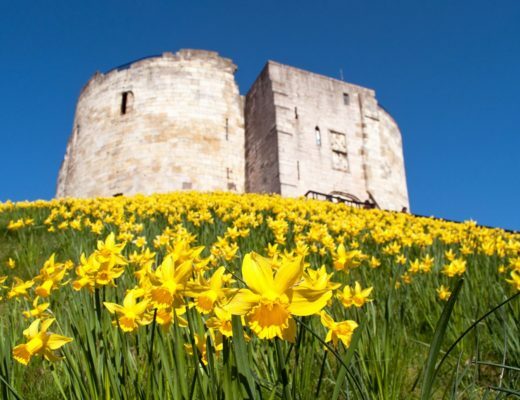 Loads for us to do there…I’ll have to make sure our chief planner Becky takes a look!! Excellent, hope it comes in useful and you all have a great time out there! Hi Melody, no that’s no problem, you’re very welcome! Great tips! As a budget-livin’ gal, I’ve never thought Vegas was doable for me. You’ve definitely changed my mind! It would be way too much for me, a normal one-off buffet finished me off for the day! Thanks for all the tips! I’m going in less than 2 weeks and we’ve looked at Buffet of Buffets. We thought it was too much food for 24 hrs but then thought if we even ate light off of it a few times or snacked off of it that it would still be less than what we would pay for 3-4 meals anyway. Haven’t decided yet but just a thought. What do y’all think? Great post! I lived there one summer during my legal clerkship and learned how to enjoy Vegas on a very tight budget. I had a blast because there are a lot of free things you can do there! 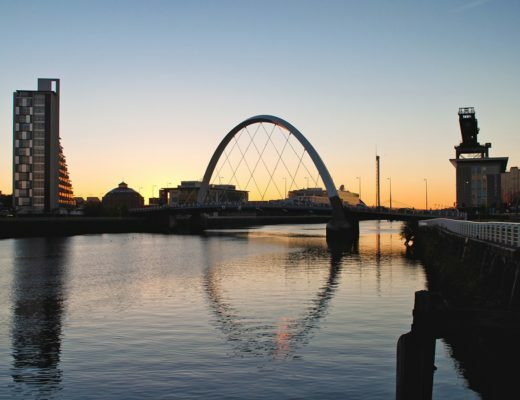 Definitely – the casinos are all trying to attract people in so there’s a lot to see and do! This is a really useful post, thank you for this. 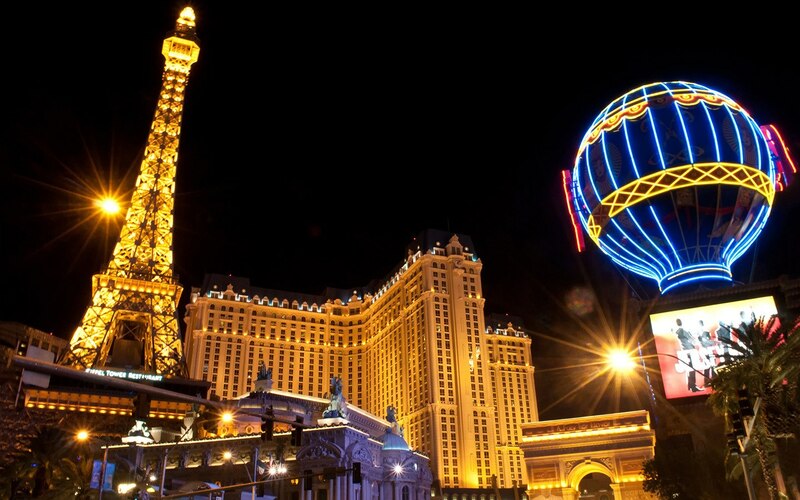 Las Vegas on a budget seems like a bit of an oxymoron, but you’ve pulled it off! 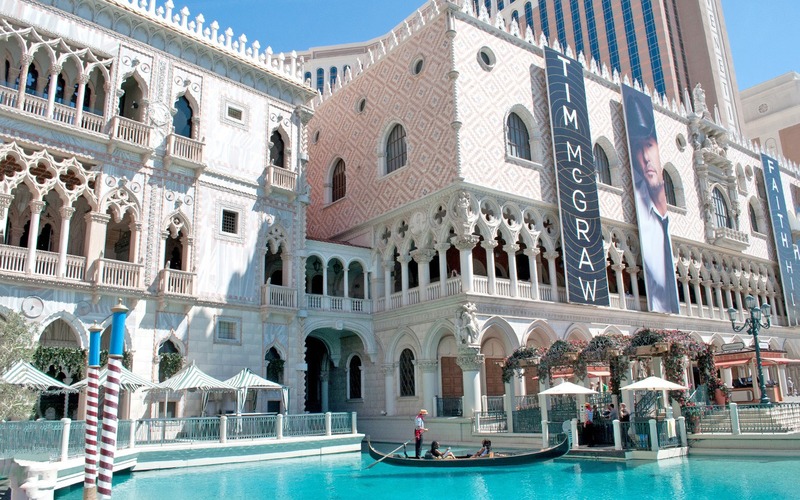 Thanks so much – Vegas definitely has the reputation for being a pricey place to visit but it really doesn’t need to be! As a Southern California native and a frequent visitor to Las Vegas, I have a love/hate relationship with the city. Expensive, commercial, hot, and crowded, it is also a destination laden with treasures and beauty that you don’t find everyday. 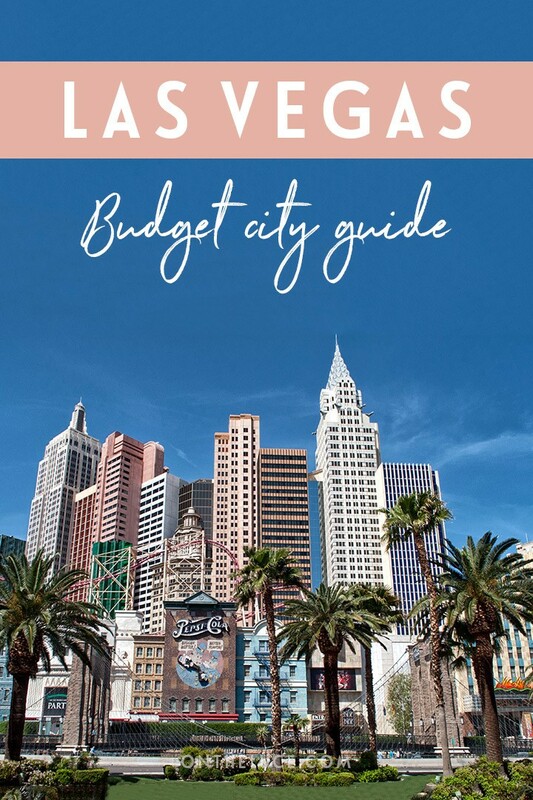 A fellow blogger put together this fabulous Vegas guide, and I am reblogging this post because it is so rich with information regarding finding those treasures in Vegas but not spending a fortune. Hope you’ll also find it useful! Wow, you made it 10 days in Vegas? That is impressive! It is definitely an interesting place. I really enjoyed my time there and found a lot that did not just involve gambling and drinking. Looks like you did the same – what an extensive list. I will definitely refer to this when I return. I love a good rooftop bar, especially in Vegas, there is so much to look at! Yes 10 days is quite a long time! My husband had to be out there for work so it was longer than I’d have done otherwise – didn’t have too much trouble finding things to keep me busy. I don’t know when I’ll be in Vegas – but your advice is definitely useful for those who will be going there. It does seem like an expensive place, so many temptations to spend your money on! Thanks Lucy for the handy tips! Thanks Aggy, it’s an easy place to spend a lot of money, but if you steer clear of the gambling floors and expensive clubs it’s possible to have a great time there without blowing the budget! Not a huge fan on Vegas, only in small doses… But I’d go for the city views and food (the best part about the place, in my opinion). Buffets are a great deal for sure. Good tips here! I think small doses is probably the best way to do it! I did mix up my 10 days with a bit of working by the pool and a couple of trips out so I didn’t get over-Vegas’d. 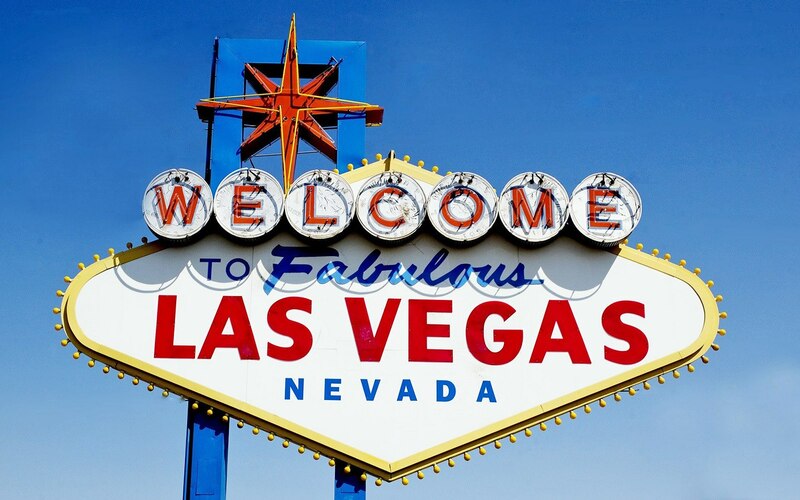 I’ve never been to Vegas, but am in the beginning stages of planning a trip there in June. Thanks for all the great advice! I enjoy a getaway to Vegas every once in a while and it’s easy to spend a lot of money there before you know it. Great ideas here. The Bellagio fountains are one of my favorite free things to do. Also fun to get off the Strip and take a hike at Red Rock Canyon. Red Rock Canyon was lovely – such a contrast from the man-made landscapes of the Strip! Try Carmine’s at the Forum Shops in Caesar’s. Very economical if you’re with a group. This may sound silly, but to save money, my husband and I brought a few bottles of booze. Every afternoon, we’d head up to our room and have a few drinks while getting ready. We knew we wouldn’t be driving, so we got a little bit of a buzz feeling before heading out — we probably saved $500 on drinks alone!! That’s a great idea – it’s a lot cheaper to have a few drinks before going out, though that does remind me of being at university as we used to do that then too! You have left the best most detailed advice! Thank you! Thanks so much – hope it comes in useful sometime! Getting married is only like 40 Bucks – just saying.. Also if you drive around a littel further off the strip you can find small food places like the “Viva las Arepas”. They serve awesome tasting Venezualian food. Haha, funnily enough when I visited I was in the midst of wedding planning so it was quite tempting to just do it there and then and save the cost of a big wedding! Cool post.Las Vegas is not just about Gambles and casinos.There are lots of other things to do in Vegas so that is dam true that if you not going to spend your money on casinos then you can surely able to make an awesome trip to Vegas in a budget.People always just think about the gamble and casinos when they heard the name of Las vegas.So when people will read your post they will get to know that there are so many things they can enjoy in Vegas. Thanks, yes there is so much more to do than just gambling – even with almost 10 days there I didn’t get bored! Thanks for a great post Lucy 🙂 Las Vegas is on my list for 2015, and I’m a non gambler so I found lots of useful info here! These are some great tips. We go to Vegas every year to get our annual Vit D. 🙂 And, we do it on a budget and aren’t gamblers, so we always look for cheap stuff to do when we aren’t lazy-ing at the pool. We scour the hotel we love for deals and tend to stick to the same restaurants. The one tip we have, for people that love buffet food and think they will eat at several in a 24-hr period, is the Buffet of Buffets. This year it is $55+taxes. (It goes up every year.) It may seem like a lot of money, but given it covers most of the Harrah Hotel buffets (including the Rio Carnival), and most buffets are $25 per person minimum, it can save you a lot of money. You can go in and out of any of the buffets on their list as many times as you want in that 24-hr time slot. We’ve timed it in the past to cover four full meal times (e.g. starting with a really late dinner so your end time is later in the day the next day). If you are a Total Rewards member it is a couple dollars cheaper. Only do this, though, if you love buffet food and have the time to hit all the good buffets. During peak hours the lines can be long, and if your time stamp on the ticket expires while you are standing in line they won’t let you in on that ticket. Oh, and if you are staying at the MGM Grand, The Rainforest Café is great for breakfast. We get the Pie of the Viper ($12) – breakfast pizza – and it is large enough to feed me and my husband and still have some leftover. Excellent post Lucy, my brother, son and I we love going to Vegas. Recently we’ve been travelling twice a year (from London UK), it’s an amazing place! It’s not even about the gambling, it’s everything else. 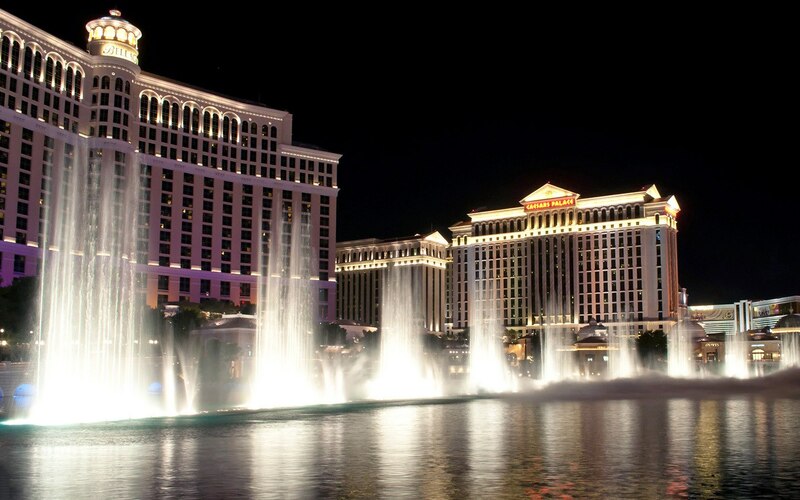 From the fountains at the Bellagio, to the people watching, Clubs, food portions, chilling pool side, drinking, okay and maybe a flutter at blackjack and you don’t have to break the budget either. We’re back in T minus 12 days and counting for our first dose this year and cannot wait!! Vegas is such a fun city, there is always something going on! Hope you have a great time. your blog is wonderful! i began my blog yesterday and yours is definitey inspiring. even more excited to travel to the US in the coming months now!! Thanks so much – best of luck with your new site and enjoy your trip to the US! It’s my dream city. I dream of getting married in Las Vegas as it’s widely known as best romantic place to get married. Vegas is really a beautiful but expensive place to visit. Nice to have these budget tips. I am a big fan of Las vegas. It’s such a fun place, I really enjoyed my trip! This is awesome!!! Thanks so much for these great tips. You’re very welcome – hope they come in useful! 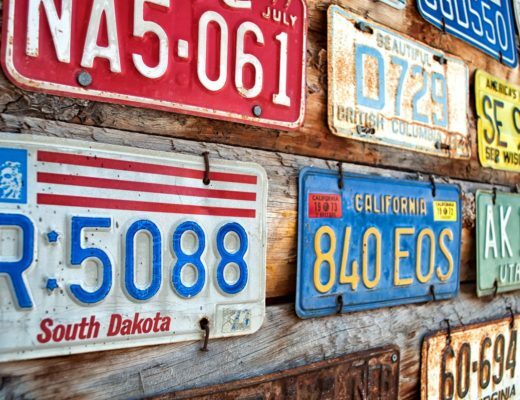 If your budget allows, then rent a car for 1 – 2 days and do a self-drive tour of Death Valley and/or Red Rock Canyon. Hoover Dam is also just a 25 minute drive from the Strip, so having a car rental is a lot more economical than booking with a tour group. My advice is to rent at the airport versus your hotel resort as you can save a bit of money that way, as well as avoid the nightmarish traffic jam along the Strip. Love your take on Las Vegas! Especially with trying to tackle a city like that on a budget – I found your article to be incredibly helpful! That’s great to hear – hope it comes in useful! Great article! You make me want to pack my bag right now and head on to Vegas. 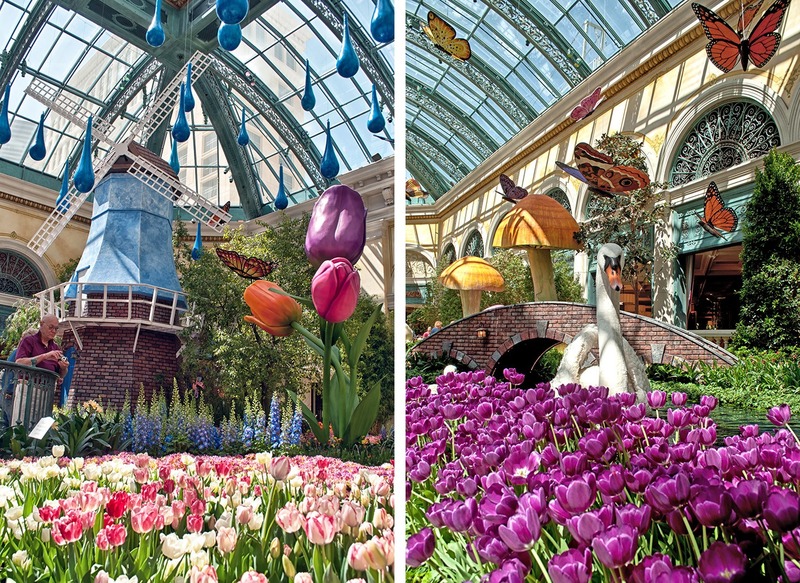 Whatever the season is, Vegas is the best place to have an adventure. It is – you’ll never get bored there for sure! Hi Lucy! I just booked a trip to Vegas this January, this blog is very helpful. It’s my birthday so I keep in mind the -Paris Las Vegas’ Eiffel Tower. Fantastic – have a great time! Awesome details about the Las Vegas trip. I like the way you described the information. Great tips about the pricing. This is the great place to plan a fraternity and sorority trip. Thanks – glad to hear it was useful! Thanks, it’s such a fun city! Thanks for sharing this guide! 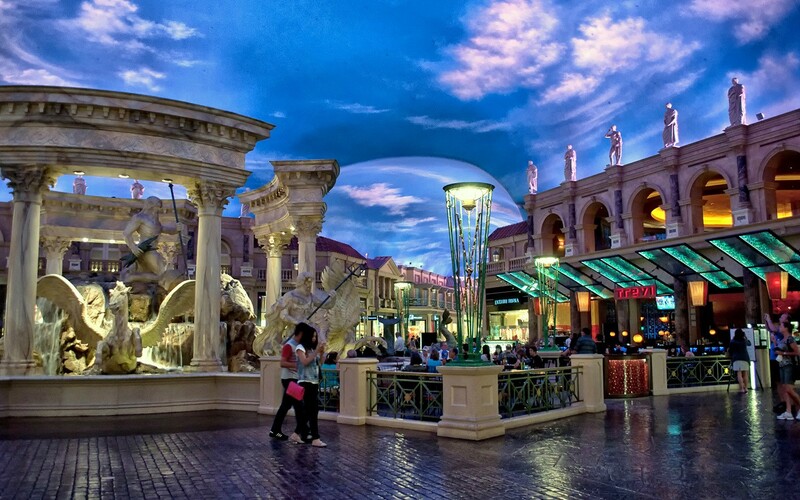 It’s easy to forget that there are FREE activities in Vegas, outside of the glitz and glam! You’re totally right –the buffets are a must-have experience in Las Vegas. I missed VooDoo, but another cool rooftop you can check out is Skybar at the Waldorf Astoria hotel. It offers excellent views of the strip! Thanks for the tip, I do love a rooftop bar! It is definitely a hectic place!